Mercedes-Benz finishes the third quarter of this year with new sales records. In September, 188,444 vehicles with the three-pointed star were handed over to customers worldwide (+15.8%), more than ever before in one month. A total of 477,999 vehicles sold from July to September brought Mercedes-Benz the strongest quarter in the company’s history so far (+16.1%). Since the beginning of the year, 1,376,424 vehicles were sold, surpassing the prior-year figure by 15.2%. “More than 50,000 SUVs sold in September and growth of over 36% are evidence of the popularity of our products in this segment. The GLC and the GLE both started with record unit sales after their market launch in September,” stated Ola Källenius, Member of the Board of Management of Daimler AG for Mercedes-Benz Cars Marketing & Sales. 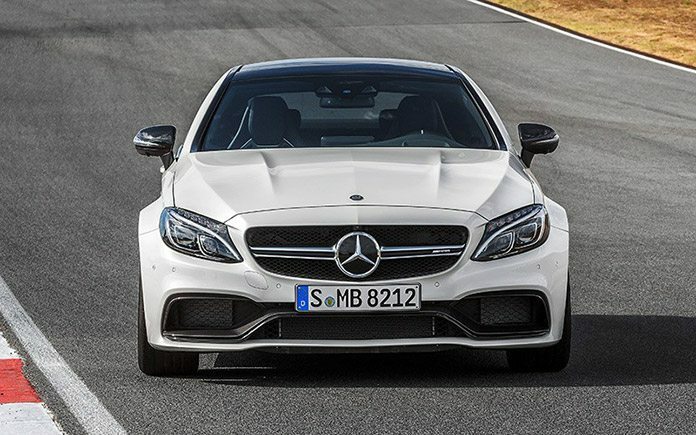 In Europe, 593,716 vehicles with the three-pointed star were sold in the first nine months – more than ever before (+11.1%). About one third of them went to customers in Germany (201,203 units, +5.2%). In September, Mercedes-Benz continued to be the market leader amongst the premium manufacturers in the home market. In Great Britain, Belgium, Portugal and Switzerland, record unit sales were posted last month with double-digit growth in each of those countries. Mercedes-Benz gained the market leadership amongst the premium manufacturers in Italy and Portugal. In the NAFTA region, sales records were set in all three countries in September and in the period of the first nine months of the year. A total of 33,506 vehicles were delivered to customers in the region last month (+6.8%); since the beginning of the year, sales rose to 286,961 units (+8.6%). Sales in the USA increased in September by 6.2% to 29,020 units. In the USA and in Canada, Mercedes-Benz is the market leader amongst the premium manufacturers. Unit sales in the Asia-Pacific region grew at a double-digit rate in September (+32.7%) and Mercedes-Benz achieved a record of 62,723 vehicles sold. Sales in China grew by 53.2% to 38,663 units in September, the highest total so far for vehicles sold in China in one month; since the beginning of the year, 266,287 vehicles were delivered to customers (+30.9%). In Japan, 49,519 vehicles were sold in the first nine months (+13.3%). Mercedes-Benz continued to be the premium brand with the highest number of new-car registrations amongst the importers in this market, as well as in Taiwan and Australia. Ongoing strong demand for its compact cars helped Mercedes-Benz to achieve record sales of 61,874 units in this segment in September (+25.3%). In the first three quarters of the year, a total of 426,022 cars of the A- or B-Class, the GLA, CLA or CLA Shooting Brake were delivered to customers (+27.1%). The new generation of the A-Class celebrated its market launch last month. The C-Class Saloon and Estate also continue to enjoy strong demand: The 300,000 mark was passed in the first nine months of this year, thus setting a new record (332,329 units). Unit sales were 59.9% higher than in the prior-year period. Also in September, a new record was achieved of 46,265 vehicles sold (+38.7%). The SUVs of Mercedes-Benz posted record unit sales in September of 53,781 vehicles sold (+36.8%). Demand was at an unbroken high level above all for the GLA, which is also produced locally in China, its biggest sales market. In addition to the GLA, the GLC, GLE and the GLE Coupé were very popular last month and posted record unit sales. In September, more than 10,000 customers worldwide took delivery of their new smart fortwo or smart forfour. Demand was thus 51.4% higher than in the prior-year month. Unit sales more than doubled in the sales region of Europe, with major contributions from Germany, Italy and Great Britain. Further sales impetus will be created by the market launch of the smart fortwo in China in August and in the USA in September.